Join our community. Learn to teach yoga or improve your own practice. Since 2010, Cambio Yoga has offered a high quality, learner-oriented 200 hour vinyasa or hot yoga teacher training. We are a Yoga Alliance certified school, which means you will earn an internationally recognized certificate when you train with us! As a trainee, you will learn to teach an hour long vinyasa or hot sequence during our interactive and fun posture clinics. Our school also emphasizes chakras with experiential chakra workshops. Anatomy, meditation, pranayama, kriyas, mudras, prenatal adaptations, and yoga styles are also taught workshop-style. In book club, dive into yoga philosophy and how it applies to your life in the modern world. We also visit and stay the night at Shoshoni Yoga Retreat to get a feel for what ashram life is like. Another unique aspect of our training is that you will have a mentor to guide you through the journey, to pat you on the back, and to answers questions. It's important to us that you get individual attention! By the end of the training, you will be ready to teach, adjust, and modify a class. You'll have a solid, groundwork understanding of the chakra system, yoga philosophy, anatomy, pranayama...and so much more! On top of that, you will have gained a life-long community of support with fellow trainees and instructors. We offer our training in two formats--Ten Week Yoga Teacher Training and Extended Format Yoga Teacher Training. In 2016, we offered our first 300 hour yoga teacher training. If you are a yoga teacher who wants to further develop your own teaching, practice, and career while gaining a comprehensive understanding of philosophy and in-depth experience with the classical practices, this program is for you! When complete, you will be eligible for 500 hour RYT status. Contact Amber at 321-8547 or contact us for more info. 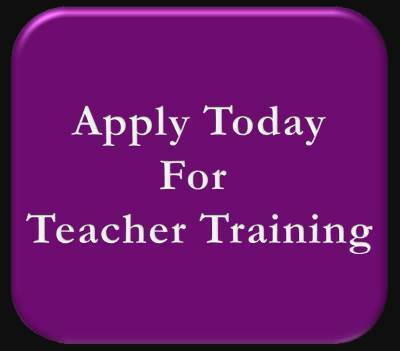 We love doing teacher training :) It is an honor that you are considering our program, so thank you!